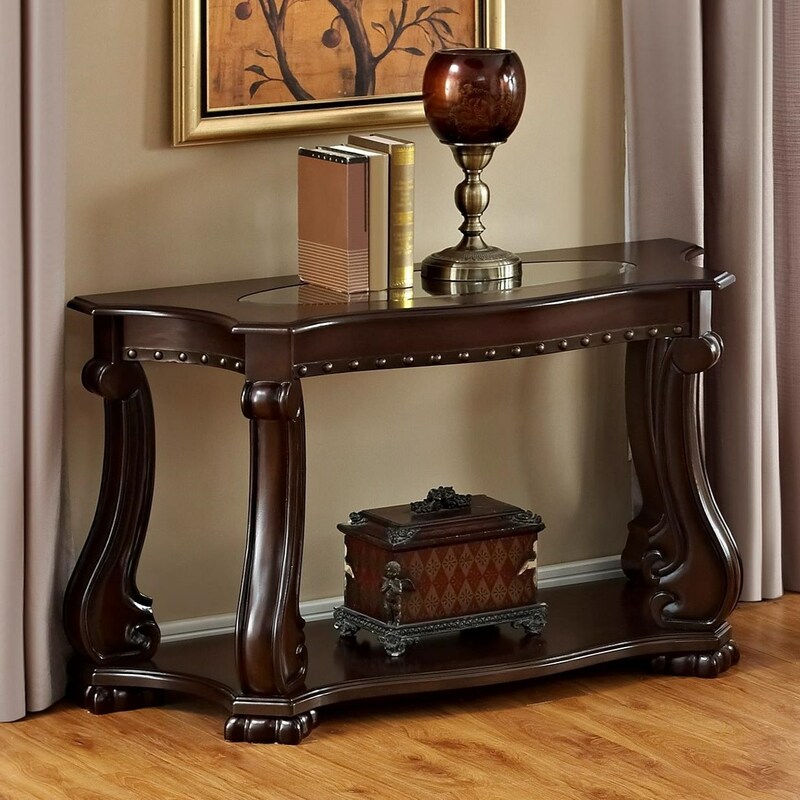 Perfect for beneath a window, in a hallway, or behind a sofa, this fantastic table is outfitted with an elegant and stately design, with decadent woodworking details and a plate glass top insert. Available in either a dark brown or shiny gray finish, pair this table with the coordinating end table and cocktail table in this collection to complete the look in your home. The Madison Traditional Sofa Table with Glass Top by Crown Mark at Miskelly Furniture in the Jackson, Pearl, Madison, Ridgeland, Flowood Mississippi area. Product availability may vary. Contact us for the most current availability on this product. The Madison collection is a great option if you are looking for Traditional furniture in the Jackson, Pearl, Madison, Ridgeland, Flowood Mississippi area. Browse other items in the Madison collection from Miskelly Furniture in the Jackson, Pearl, Madison, Ridgeland, Flowood Mississippi area.